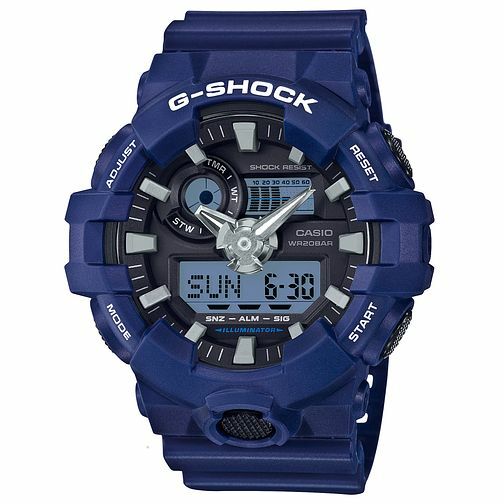 This Casio G-Shock GA-700 analogue digital combination model features a powerful and bold design with a tough edge. Featuring a large blue resin case and strap, the LED lit dial is complete with auto calendar, countdown timer, daily alarm, stopwatch, world time. With a shock resistant frame, this watch is the ultimate in durable time. An ideal timepiece for those who enjoy an active lifestyle.